Welcome to week 14 of Photography Friday. Photography Friday is a 20 week challenge to help improve our photography skills. There is a weekly prompt / theme for each week that you can be as creative with it as you'd like. This week's theme is black and white and next week's theme is a self-portrait (eeek! That makes me nervous). For further information please click here. I couldn't figure out how to properly capture black and white. What should I photograph? Where? Well, last weekend I went on a weekend trip with my Mom, granny, aunt and uncle to Charleston, SC. I know, I know I've been traveling a lot. However, I know that time with family is a gift and I'm going to take advantage of it while God gives it to me. Anyways, My aunt found a carriage ride tour in Charleston that was a ghost tour at night. We booked our tour through Palmetto Carriage and I highly recommend them. 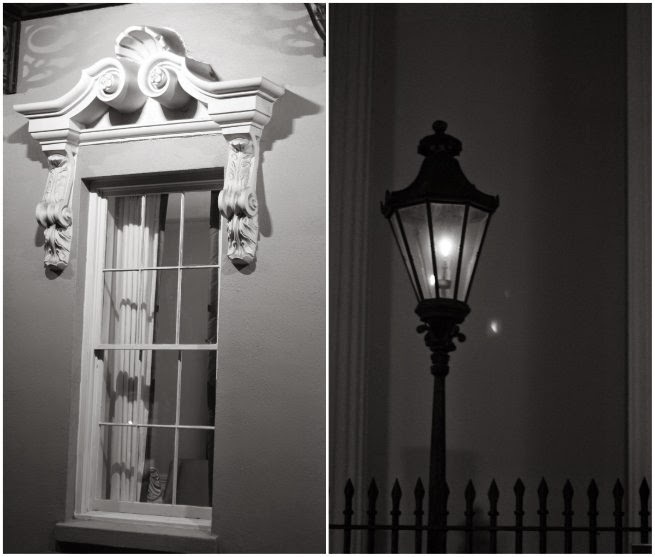 I knew a 'ghost' tour would be the perfect opportunity for black and white pictures. 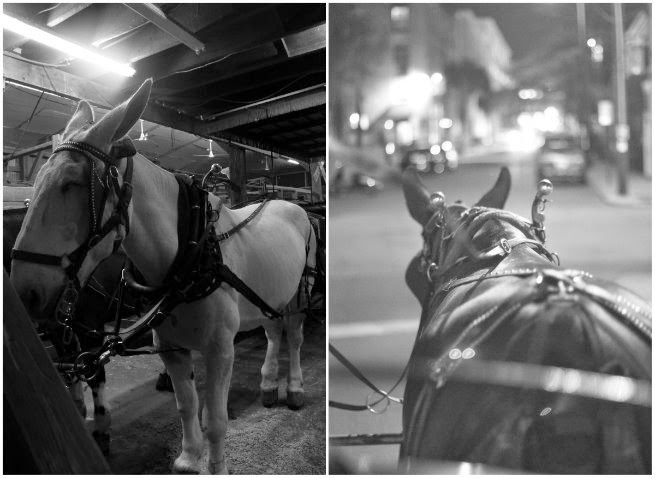 Have you ever been on a carriage ride? Any good tips for black and white photography? i live in SC!!! - on the other end of the state from Charleston, but still!! 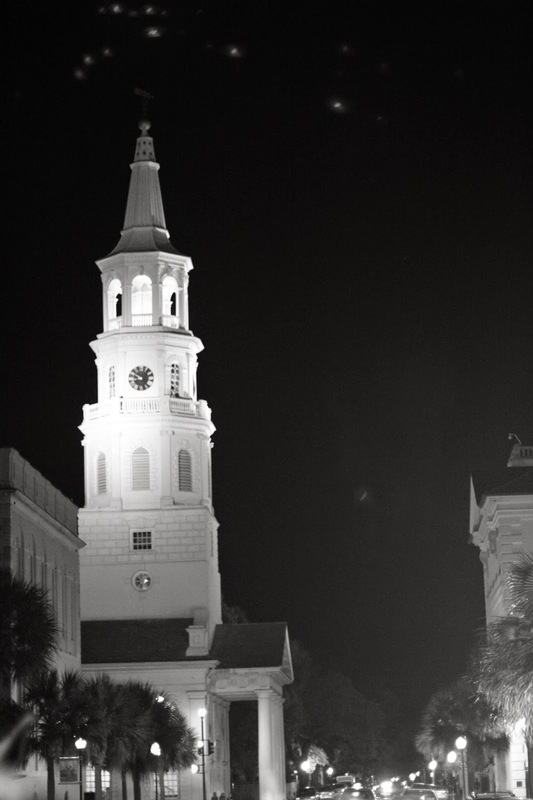 i LOVE Charleston and these pictures are just stunning!! I feel like sometime you mentioned you lived in SC. I actually thought about e-mailing you to see if you lived closed but I didn't because my time was short there and I wanted to spend as much time with my family. However, if I come back that way (which we might this summer) I'll e-mail you! How fun would that be. it really is such a beautiful city!! hahaha yeah i would gain so much weight if i lived there! the sweet tea around here is SO sweet! I'm pretty sure I've been on that tour! Except during the day....that carriage is super familiar. I visited Charleston when I was 10 or 11. It was sooo beautiful. Love your pics...I really need to get back on top of my photography for these link ups! These are so great! I think the hardest part is editing a black and white photo properly. Tyler can do it really well, but I have the hardest time. I haven't even tried editing yet. I set my camera on the black and white photo mode. I'm taking a class to learn Lightroom so once I finally finish hopefully I'll know a trick or two.